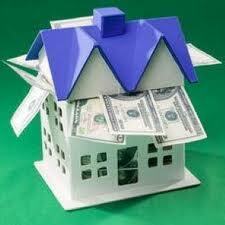 Home » Buying a house with Cash – Get It Appraised! Cash Buyers- get it appraised! When in Doubt, Get it Appraised! It’s easy buying a house with cash but there is no government program, no mortgage insurance, and no safety net if you misjudge the value. On several occasions, I’ve worked with clients buying a second house with cash and we couldn’t find any obvious comparable sales. In each occasion, the homes were over-improved: phenomenal kitchens, amazing staging, knockout landscaping and other bells and whistles which clouded the fact that, hey, this is still a small ranch home with 1600 square ft with just with a $50,000 kitchen. Having an objective, unbiased 3rd party give a neutral, market activity based assessment of value brings a more level head to the table than a proud, heavily invested seller and a buyer with stars in their eyes. If the appraisal indicates that the value is in line with similar homes, fine. If the appraised value is higher than the purchase price, Congratulations! If, however, the appraisal indicates a value lower than the purchase price, it is a sobering moment for all parties. The buyer is certainly not going to want to pay more than that number in all but rare cases. The seller has to grasp that they are selling real estate, not personal property. Remember the key words in real estate is location, location, location, not viking stove, viking stove, viking stove, or granite, granite, granite. Should the seller “eat” the difference? Consider this; if they turn down the cash buyer, the next buyer is probably getting a mortgage. Since mortgages require appraisals, history will repeat itself. In cases where the cash buyer’s appraisal comes in low, the seller should get their own appraisal to ensure that the buyer’s report is accurate. They then need to weigh their options, and, often, those options include renegotiating price to bring the real estate they are selling in line with the current market. Cash is king, and king needs reassurance and assistance too. Mike McDonald is a certified residential appraiser with 22 years experience working in the Fountain Hills, Scottsdale AZ real estate market. Call him today at 480 292 1882. If there is any doubt in your mind about a home’s value, it’s better to be safe and get it appraised!